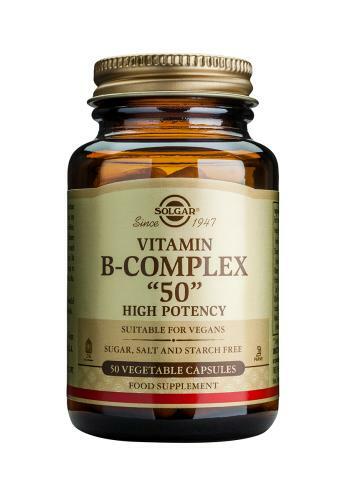 Solgar Formula Vitamin B-Complex "50". B Vitamins are vital and different Bs need to work together. They are not replaced by the body and need to be replenished daily. Solgar Formula Vitamin B-Complex "50"
Solgar Vitamin B - The B Vitamins consist of a large number of substances that are involved in the metabolism of all living cells. Acting as co-enzymes, they work together with proteins in the various enzyme systems of our body. The functions of the B Vitamins are closely synergistic, and because of these inter-relationships, a deficient intake of one or more of them can cause deficiencies in the others by hampering their utilisation. B Vitamins are water soluble and are not stored in the body. They must be replaced daily, and any excess is excreted.